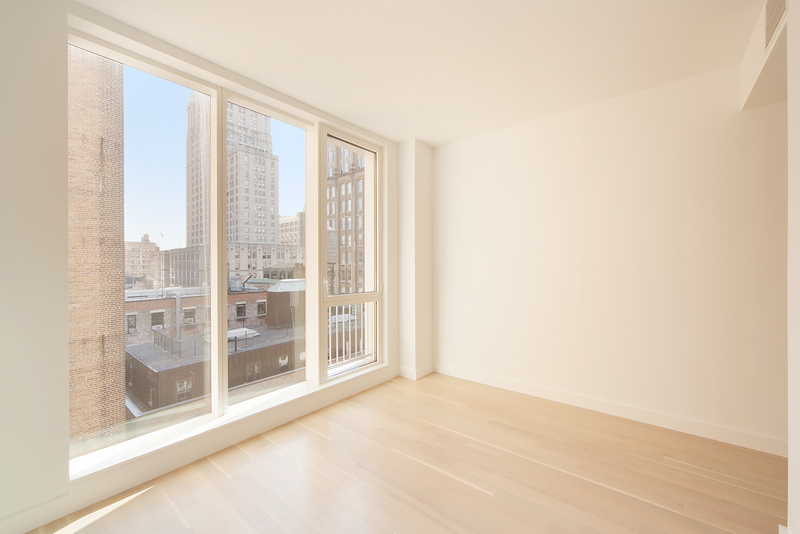 This corner two-bedroom, two-bathroom unit offers southern and eastern exposures and spectacular views of the Flatiron District. The home's modern aesthetic is complemented by an open flow living room and a neutral palette, enhanced through the use of stained white oak flooring and white-finished fixtures from the Zuchetti Kos Faraway Collection. The master bathroom features a deep soaking tub, glass-enclosed shower, solid teak wall detailing and honed stone tile flooring. Additionally, this residence offers a Miele washer and dryer and oversized windows throughout.